We have over twenty years’ experience in creating gorgeous custom stained glass, for both residential, commercial, and religious applications. We are proud to bring our high quality, hand crafted stained glass to the discerning and style savvy residents of Friendswood TX. Friendswood is a great city with a lovely balance of the historical and the new. The Friendswood Historical Society conducts tours of both the 1903 Perry House and the Frank J. Brown Museum. Other residents prefer taking advantage of the various lovely Friendswood parks. It is for this reason, everyone’s different tastes, that we create custom stained glass, designed for each individual client. 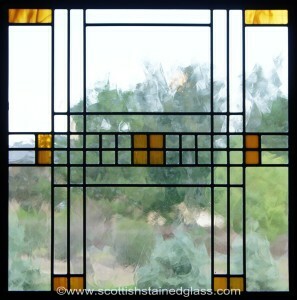 Whether a client lives in a historical home and loves antique styles, or lives in a modern ranch style house and loves abstract or contemporary designs, we create our stained glass windows to that client’s tastes. Our custom stained glass design process begins with a no-cost in-home visit by one of our local Houston design professionals. The client can choose his or her window designs from a wide variety of styles. They can choose an existing design or have something completely new designed. Once the client has decided upon the design and a sketch has been made to scale, the project goes back to our Houston studio. 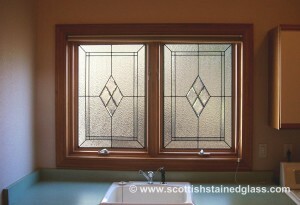 Each stained glass window or door panel is hand crafted by one master artisan. That includes cutting each piece of glass by hand, assembling the piece by hand, soldering and polishing it, and then it is ready to be installed in the client’s window or door. Residential stained glass adds beauty, value, uniqueness, and even privacy if needed to Friendswood homes. In today’s competitive business environment, businesses must do everything they can to attract and keep customers. With the nearness of Houston and everything it has to offer, Friendswood businesses must compete any way they can. One great way is by creating an ambiance your customers will love and want to keep returning to. We create custom stained glass windows, doors, backdrops, ceilings, skylights, lighting, and more for Friendswood businesses and commercial spaces of all kinds. This can include offices, restaurants, shops and salons, hotels, and any other space. Commercial stained glass adds elegance, color, privacy, style, and much more to Friendswood businesses. The custom design process is exactly the same as for our residential stained glass, with each window or door customized to the client’s needs and to complement his or her décor. We do custom religious stained glass art for any house of worship, any denomination, and can accommodate just about any budget. We can create traditional religious scenes of something more modern and less literal. We are always honored to work with a church, chapel, temple, or any other house of worship. For more information about our gorgeous custom designed and hand crafted stained glass, please contact us today.